It was back in 1971 that I was an asthmatic sixteen-year-old from a troubled home attending a nowhere school. Four years earlier I'd started reading "serious" literature like Dante, Chaucer, Goethe's Faust (I really dug Faust), and Milton. I'd also found Coleridge and selections from Pound's Cantos tucked away in the library, where I read myself nearly blind when I could get out of phys. ed. The beginning of my liberation happened when a new English teacher named Miss Ayers began to work at the school. She wore granny glasses and miniskirts, and was totally cool about everything -- much different from the conservative geeks that I snored through day in and day out. One day Miss Ayers handed me a copy of Howl and I was totally blown away. I'd thought real poetry stopped somewhere with Pound and D.H. Lawrence, and maybe Wallace Stevens. It was our secret -- that book, and I kept it hidden away, reading the words of revolt like a charm, like an incantation to myself. I literally fell in love with Miss Ayers because of this tiny act of bravery on her part and I found reasons to stay after school to talk to her about everything -- but especially about what was happening in San Francisco at the time. In addition, I kept my eyes open when I visited the stationery store at 140 Village Shopping Center, because they had a "classics" section where I could pick up copies of Frankenstein and The Red Badge of Courage for 50 cents or sometimes a buck. I kept trying to find more Ginsberg -- kept looking for the GOOD NEWS at a time of bad news for almost every young man. Vietnam was a promise that burned on the horizon, and I didn't know what to do. Finally, right before summer vacation, I hit pay dirt: There was Hayden Carruth's The Voice That Is Great Within Us with a whole galaxy of poets I'd never heard of before: names like Corman and Wakowski, and HD and Duncan and Larry Eigner, and right next to it was The San Francisco Poets with a great picture of the Golden Gate Bridge in the fog -- the editor a cat named David Meltzer. "You have to have a sense of what the tribe is speaking. This takes ear training. You have to go out into the street and listen to the way people talk. You have to really listen to the kind of things that people say. You have to listen to the birds that are in the air, the helicopters, the big rush of jets. ...You have to have your ears open or you are not going to be a poet. Or you are not going to be a writer of any importance whatsoever." Lew Welch said it to me in those pages, and I listened, and I began to do the work of a poet from that day forth. I didn't care what it took. I DIDN'T CARE, as long as I could LISTEN and THINK and someday write a great poem like "Wobbly Rock" or "Ring of Bone" or "The Song of the Turkey Buzzard." Lew's words moved me, and I really began to hear what was around me: the novel ways that my father cursed my mother; the verbal fog that my teachers let loose in the classroom when they opened their corn-fed mouths and told us lies about Vietnam; the platitudes of the principal of the school when he threatened to expel me for editing and publishing a little two-page rag that criticized school policy; the stupor that the students were expected to maintain when learning about how to make birdhouses in shop class or find the top view in drafting, when young men a year or two older than us were getting their legs blown off by antipersonnel mines; and the palaver of the auctioneers at the stock market in town or at the horse market in Thurmont or over the way in Melrose. I listened and I wrote down what I heard, just like Lew said. Who gave me those needful words that made me realize that I could be a poet? Lew Welch. But it was David Meltzer who gave me Lew, because it was in that year that the poet who'd really turned me on to poetry wandered away into the mountains never to return. Later, when I had graduated high school, and Vietnam's spigot of death was turned off by Richard Nixon, and I had decided to work in factories for a while because I didn't want to owe anybody for my education, I found The New American Poetry, with David Meltzer's own poems, and I was impressed. They were the poems of a young man, just like I was then. Much, much later, after I had graduated from the Johns Hopkins Writing Seminars and twitched through Richard Howard's lectures on "Our Modernity," I'd traveled to Milwaukee to continue the grabbing of degrees, and there, at Woodland Pattern Book Store (as it was known then) I once again ran into David Meltzer -- this time in the form of a book of essays about poetry and several poetry collections, which of course I bought. I wrote to him then -- that must have been 1980 -- and asked him for some work, which he sent. 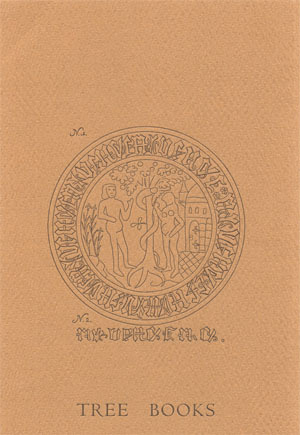 The poems were eventually published in The Cream City Review. 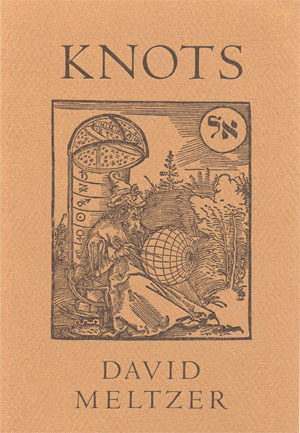 From that time on I sent my own chapbooks to David and never failed to get a heartening response. Much later, I found out that David Meltzer was teaching at the New College, and I almost left Milwaukee to attend, but decided to stay on and finish what I had started. Still, I kept in touch when I could. When I eventually found my way to Japan, I told other people about David Meltzer and New College, and at least one took my advice and studied there. In conclusion, David Meltzer delivered Lew Welch to me, and Lew Welch showed me the way -- for better or for ill -- to being a poet. Welch and Meltzer, along with Blake, Goethe, Stevens, Dickinson, Jerome Rothenberg, Armand Schwerner, and a handful of others constitute my Paradise of Poets. They're my avatars. Thanks and later, David Meltzer! P.S. Just back from a (12/17/2005) reading at Beyond Baroque where I picked up copies of Beat Thing and David's Copy -- still FRESH, and still the NEWS.